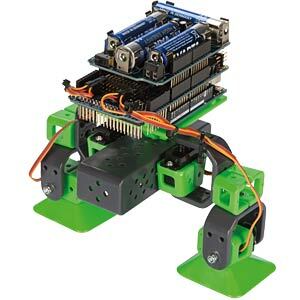 The TWO-LEGGED ALLBOT is a modular robot kit equipped with an Arduino-compatible shield. 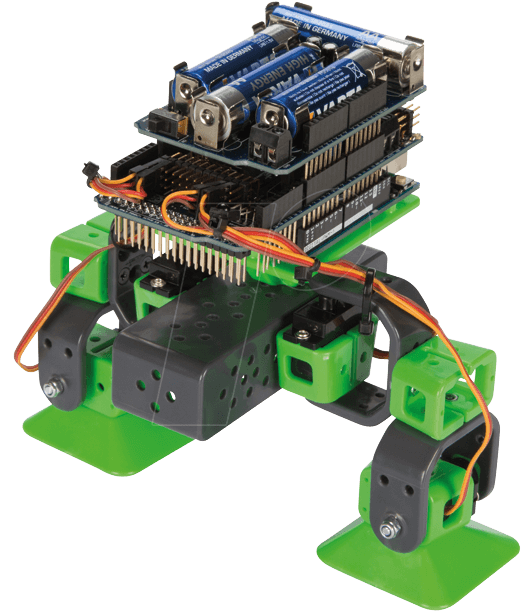 Its four servo motors and servo motor shield make it possible to program in a wide range of movements. Put the robot together and enhance it to your liking, for example with the smartphone IR transmitter. With the app for smartphones or tablets (Android® or IOS®), the ALLBOT can be controlled simply and precisely.